How many times have you passed by your neighbor’s lush landscaped garden and felt a tinge of envy run through your body? I bet you’ve always wanted a gorgeous little garden of your own to show it off. The good news is that you do not need to be an expert gardener to design a beautifully landscaped garden. There’s always an easy way out for those pressed for time but wanting to add some greenery to their home. It involves using landscape artificial grass, to instantly perk up your yard and add a touch of plushness to your abode. There are plenty of upsides to using artificial grass. Firstly, you do not need to tend to it like you would a real garden i.e. no watering, fertilizing, trimming, or mowing. Simply install it and use it like a real garden with its soft and green surface, which stays that way all year round. Secondly, cleaning it is easy; all you need is some water. However, if you want to build a stunning landscape garden with real grass, here are a few tips on how to go about it. Utilizing your space optimally would require that you spend some time working on the garden’s layout. A meticulously designed layout would ensure that the design of your garden is in keeping the space available. If you feel you do not have enough space, don’t fret as there are other ways to spruce it up, for example, building a container garden. Apart from that, you could consider utilizing other open spaces of your home, like your terrace, or the roof. As far as possible, grow your grass in a space that receives ample amount of sunlight and from where it is easy to water it. Potted plants are easy to maintain and move around. Just ensure you buy planters with wheels so that you can move them from one location to another depending on the weather conditions. Depending what you want to see in your garden, you will have to keep adding dimensions to it. 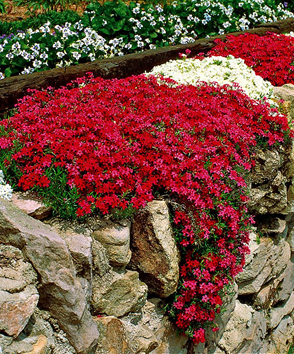 Picking the right plant(s) is crucial for enhancing its splendor. Do not make the mistake of bringing home a plant without thinking about the factors that go into its growth and maintenance. So you liked a pretty plant at the nursery, but that does not mean that it belongs in your garden. Ask yourself which plant works for you, if your garden space would be able to provide it with the light/shade/water it needs to grow. Take into account the dominant climatic conditions in your region before you zero in on a plant. Read as much as you can about the plants you want to get and figure out what to plant, when to do so, and how and when to fertilize it. Color: To give your garden a contemporary and exciting look, break up a large area into smaller sections and dress up each section differently with flowerbeds in certain spaces. Doing so will not only add color to the space, but will also create interest as it would provide a good break from the usual grassy garden. Texture: A really great garden would be incomplete without textures. A balanced texture works very well in beautifying a garden so feel free to use stones, rocks, shrubs, dwarf trees, flowers, colorful foliage and even concrete. If you plan to repeat textures, be careful as overusing the same texture can get boring. Garden Art: To add an element of drama to your garden, use garden art. From fountains, sculptures, bird cages, to even disco balls, wind chimes, and beads – they can be eye-catching and make your garden look attractive. Visual Stimulation: Bring some variety and visual excitement in your garden by including ornamental grass and foliage. These can be in different colors, shapes and sizes. Watch them dance in front of your eyes when the gentle breeze blows in the evenings. Container gardening: This phenomenon makes gardening incredibly easyas you can move your plants around as and when you like, plus add color to spots when plants are not in bloom. Utility: Your garden not only smartens up your home, but can prove to be useful in other ways too. Consider incorporating edible plants and herbs into your landscape, thereby eliminating the need for a separate vegetable garden. Apart from that, keep a slice of the paradise for yourself as well – the place which helps you relax and unwind. You don’t need to have an ornate deck or patio. Placing simple but comfortable furniture in your garden will do the trick. 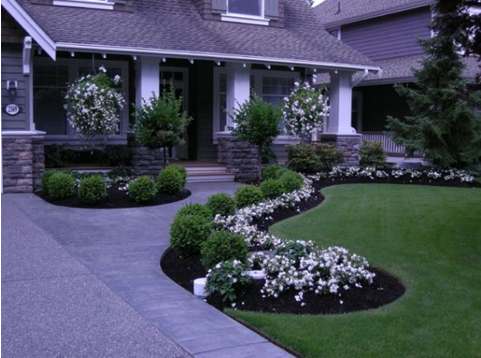 Fertilize It: Proper fertilization of the soil implies fertilizing it adequately. You can ask your local gardener for recommendations on good fertilizers. You may want to do it twice a year – in the spring, and the fall. You could also mix it in the soil when planting a new plant. Avoid fertilizing the soil under a bright sun and make it a point to water it afterwards. Mow It: Mow your lawn as and when needed but make sure you do not cut the grass too short as that could leave bald patches in your garden. This would, in turn, make it a breeding ground for insects and diseases. Let the blades grow out slightly in summers to give shade and prevent rapid evaporation of water from the soil. 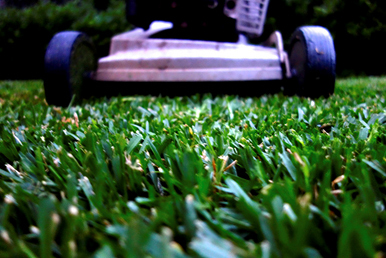 Conversely, cut the grass a bit shorter in winters to allow the sunlight to reach the ground. Protect It: Use organic mulch, insecticides, fungicides, pot mixes, and so on to keep your garden free of weeds, insects, fungal growth and other diseases. A thing of beauty is a joy forever. Let your landscape garden always be a source of joy to you. Yes, you will have to invest your time and effort, but when you watch it in full bloom, you’ll know that it was definitely worth the while. 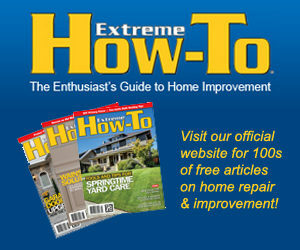 The above tips should be helpful in providing you with information on the basics of landscape gardening. 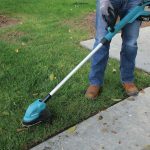 Do You Need a Cordless String Trimmer?